In Overwatch, I’m a Pharah main, but I have a problem: I’ve ridden her signature jetpack boosts all the way to my personal ceiling. So naturally, when confined in a small room with a person who, at times, has been called one of the best Pharahs out there, I had to ask: what should I do? LA Gladiators’ Lane “Surefour” Roberts, possibly the chillest person in the whole Overwatch League (when I asked him if he had to give up any hobbies to embrace the OWL grind, he literally said “mostly just chilling”), unsurprisingly pointed to mindset as a key factor of playing Pharah effectively. “A lot of it is just confidence,” he said. Then there’s everything else, a lot of which revolves around predicting how other heroes are going to react when rockets start falling on their heads. Against hitscan heroes like Soldier 76—Pharah’s biggest weakness, because of their ability to pick her out of the sky from a distance—he recommended supplementing prediction with a healthy awareness of your surroundings. Pharah might be able to fly, but you should always be mindful of structures that can provide cover or block enemies’ lines of sight. The thing I’ve been struggling with the most lately is Pharah vs Pharah, my own personal airborne hell. 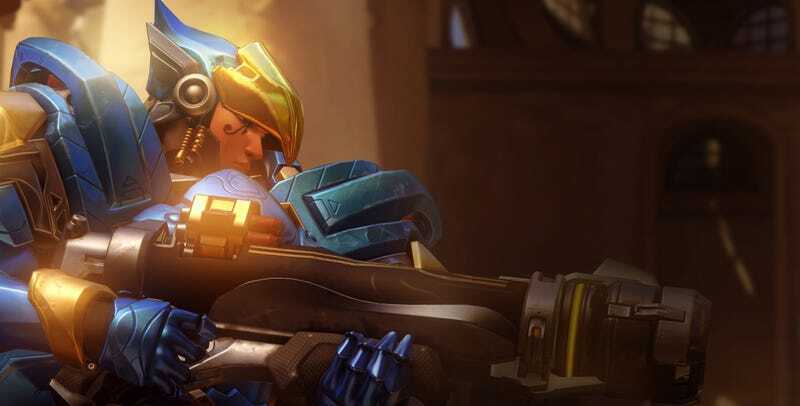 As soon as another Pharah shows up, I start lobbing rockets in her direction, missing, getting in my own head, and eventually getting snuffed out by players who I assume are just better than me at my best hero. It’s tough on my team and my ego. Surefour, though, pointed out that everybody struggles with Pharah vs Pharah. In order to win, you’ve gotta lead the dance. As for what you should do with your own positioning in the meantime, Surefour explained that you’ve got options. Regardless, you generally want to make sure you’ve got the high(er) ground, because Pharah players spend most of their time aiming down. “A lot of Pharahs aren’t good at shooting up,” Surefour said. Ultimately, though, it all falls to pieces if you don’t confidently impose your game from the get-go.